(TibetanReview.net, Jul21, 2018) – In what is seen as part of efforts to check India’s influence in the Indian Ocean region, China is building as much as eight submarines for its all-weather friend, and India’s arch-enemy, Pakistan. 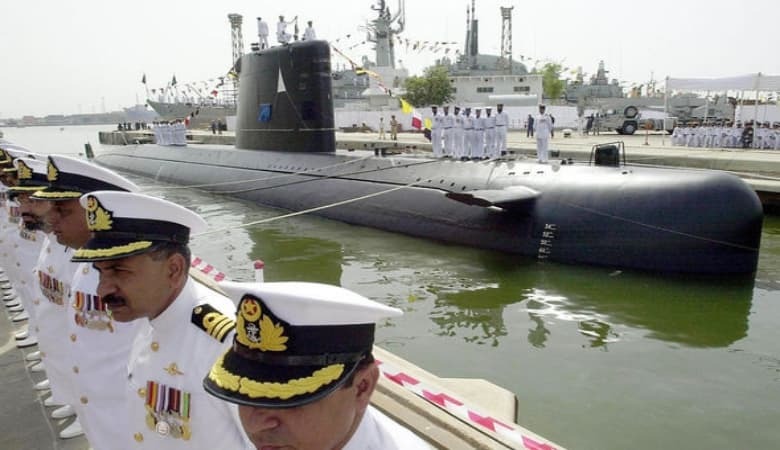 The new vessels will nearly double the number of submarines currently fielded by the Pakistani navy – increasing its underwater force from 10 subs to 18, which is more than the much larger neighbour India’s current strength of 16, reported express.co.uk Jul 19. The report cited Indian news network Zee News reports as saying the move, codenamed as Project Hangor, is part of Beijing’s continued campaign to check India’s influence in the region. The report noted that the rivalry between China and India was continuing to intensify as the world’s two most populous nations grappled for strategic control of the Indian Ocean and its highly lucrative shipping routes. The report noted that Chinese warships had previously been deployed to the region, with 11 vessels sailing to the East Indian Ocean earlier this year in a massive show of force. It also said that India was preparing to build a huge military base off the coast of Africa to protect its interests and deter future incursions by the Chinese. The new facility in Seychelles, north of Madagascar, will include an airbase as well as naval installations, it added. Meanwhile, Pakistan and China have been going full-steam with the latter’s investment of $62 billion on a China-Pakistan Economic Corridor project (CPEC). The massive infrastructure scheme threatens to disrupt the status quo in South Asia as Pakistan’s energy grid and transportation networks are modernised and the investment provides a massive boost to its economy, the report noted. The CPEC will connect Chinese-ruled Xinjiang with the deep-sea port of Gwadar in Pakistan, giving China access to the Arabian Sea.